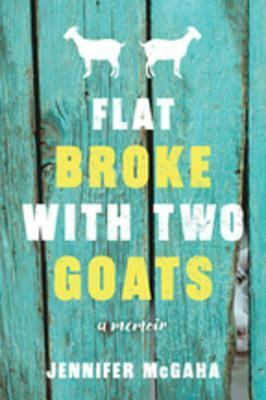 This book title, Flat Broke with Two Goats, is one of the catchiest I’ve seen in a while. In this memoir, MaGaha finds herself in foreclosure due to self-admitted willful ignorance of the family finances, which her accountant husband oversaw. 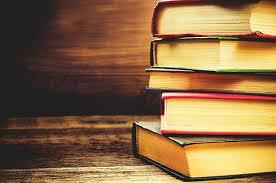 My favorite part of the book was the author’s move to Macomb, Illinois to teach at “the University”. I had visited a college friend at Western Illinois University in Macomb decades ago, and more recently spent the day there attending a business meeting for a different job so I was a bit familiar with the place. This section of the book was a bit like a mild version of Eat Pray Love, only with cornfields, a boxcar, and sweltering Midwest heat. At times I found the author annoying in her unwillingness to take responsibility for her actions and for not thoroughly researching the care and feeding of her animals. I also would have found the cabin less disappointing and more potentially exciting. All of those acres of natural timber and a beautiful waterfall view? Sign me up! Sure, the house was a dump and there were poisonous snakes and wolf spiders, but the couple made the house hospitable with some improvements. As for the critters, I admit I would be treading carefully and somewhat anxiously because of the snakes, but I already deal with wolf spiders in my neck of the woods. The couple went on to raise chickens and goats and slowly transformed from people who lived beyond their means into rural farm people living a simpler life. I liked how she found making yogurt and soap fulfilling. She realized she’s gone back to some of the practices of her ancestors on these same lands, minus the constant backbreaking work and potential to go hungry with a crop failure. I give MaGaha props for bravery in being brutally honest about her life, which must have been difficult. She’s an accomplished freelancer but in looking at her website it appears this was her first published book. I think she will continue to find maturity in her novel-writing voice with subsequent books.